One bedroom apartments in the latest regeneration complex in Mitcham -Brook House. Situated in the historic town of Mitcham where you are within easy commute heading into Central London is this stunning refurbished development of one bedroom apartments. This development benefits from much more than convenience to and from the city, it offers outstanding views of the local cricket green conservation area. This is truly a great opportunity for first time buyers looking to get themselves onto the property ladder or alternatively a fantastic chance for an investor looking to add to their current property portfolio. With fantastic local travel options including both tram and train links it provides prime township living on the doorstep of London. All apartments have car parking. 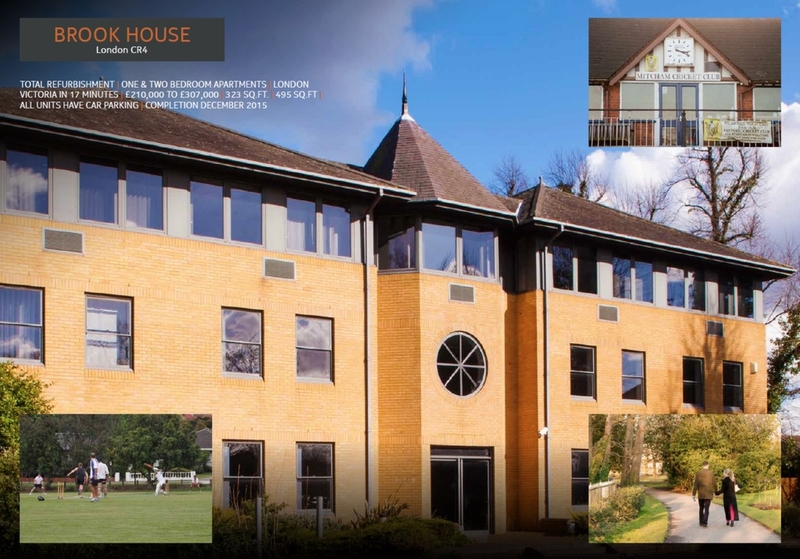 For more information, or to reserve a unit in this unique development please contact our Sales Team on 0330 223 0331.